Shopping in Siem Reap is your passport to discovering the best shop to buy from in Siem Reap. With the most relevant, up-to-date advice on what shop or market sells what, you will be able to get what you want a lot easier. Know where to get cheap households goods, clothing, fresh fruit, meat, canned goods and more if you intend on making Siem Reap your home. For tourists, know where the best deals are, and where to buy jewellery, clothing, bags, paintings, and more. Also included are some tips for good restaurants and cheap Khmer eating places. Get to the heart of shopping in Siem Reap and begin your journey now! Looking for more to see and do close to Siem Reap? Check out Kulen Mountain & Kbal Speanand discover the birthplace of the Khmer empire, or Koh Ker Temple Site, to discover a 36-metre high pyramid temple dating back to 928 that was the capital of Angkor for king King Jayavarman IV. 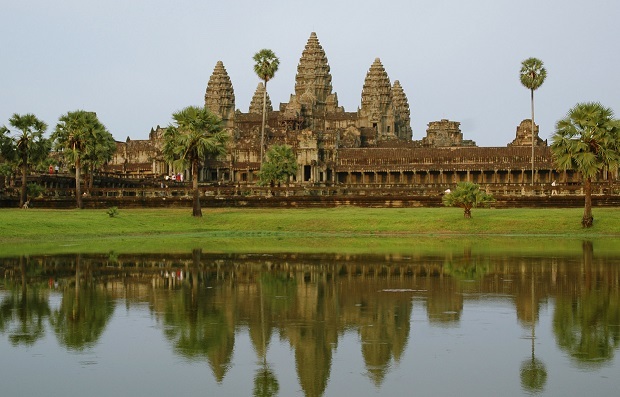 Don't forget to get a guide book for Angkor Wat and Siem Reap.